Is the entrepreneurship mind innate? 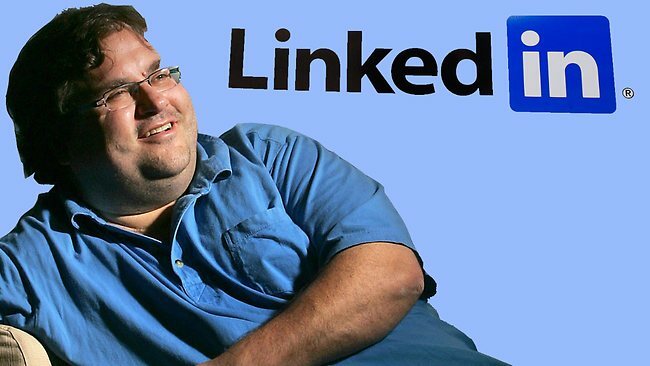 Reid Hoffman, LinkedIn founder, a successful entrepreneur. Our society is made of people having different kind of professions, as employee, state employees or independents. But as spoken already on this blog, some people are not really doing the job they like to do for many reason. They chose a job in function of some benefits, advantages or wrong beliefs, but are carrying their professional life as a burden. Probably that some of them have an entrepreneur mind and the capabilities to become entrepreneurs, but these beliefs or other people wrongly influencing them, make that these capabilities remain hide and unused. This question call another one: is entrepreneur mind something innate or something we can acquire? A first important point is our social and educational environment. People are not equal on that level, and some social environments with low education are not fertile environment for the entrepreneurship mind development. Your family and so your social environment can contribute to such development if he wants to see your potential, your strong points and if he encourages you to use and to develop your potential, to identify your talents and your strong points. This will contribute also to be self-confident and so to face challenges. But do not forget that your environment have to subscribe to the fact that you have to do what you love to do and that their advice have to be based mainly on that value. Another point is your character. Peter Drucker said that an entrepreneur mind is first a mind. The quality of an entrepreneur mind is to expand his knowledge, to be curious, to take decisions. An entrepreneur mind sees difficulties as opportunities. An entrepreneur mind is first a player, an actor and not a spectator. This implies to have a strong character, a leader character and not a follower character. We can link to that point that you have to know first who you are. Often, there are people who are wrongly influencing others, and stick wrong label on your back. They will tell you that you have not the capabilities to do something, and sometimes, wrongly influenced people are blocked because they believe what the others say about them, because they are not self-confident. We could not forget also that you consider life as a range of projects and each project has a goal. To always have a goal is a source of motivation, and a source of potential opportunities. A third factor that is playing a role in the entrepreneurship development is the political environment. By asking the question on a forum, a person answered me that in a country like USSR, the entrepreneurship was forbidden. And after the USSR fell down, a lot of brilliant people became successful entrepreneurs. Government have to play a key role in the promotion of entrepreneurship by implementing economical policies favoring the entrepreneurship development with tax incentives, but also by including the development of entrepreneurship mind in the educational programs. What about our own experience? Our experience can make also that we decide one day or another to switch from an employee position to an entrepreneurship project. Each of us we have our own experiences, with things we loved and with negative remembers. Our present actions are lead by our passed experiences and by anticipation of the future. And in function of our passed experiences, some of us decide one day to become entrepreneur. By mentioning al these points, it is difficult to answer to the asked question. Some people were always entrepreneurs, some people became entrepreneurs for several reasons and some people will never start as entrepreneur. Is the entrepreneur mind something innate or something we can acquire. Each reasons developed here before will contribute or not to the fact that we become or not entrepreneurs. I would say that there is probably a seed of entrepreneur in each of us, but this seed will grow if the needed and sufficient conditions are met. Change of life, yes but…. Michel Kacenelenbogen, founder of the theater "Le Public" in Brussels, was first a business man. Some of us are dreaming to change of life, by changing of professional activity, by doing something different from what we are doing now. We see of course the positive side of such changes but there will be also new constraints to these changes. These changes imply to take decisions, to make choices, but these decisions and choices have to be the result of a reflection process and not of improvisation. There are several things we have to think about before to operate such change and to be sure we are going in the right direction. Walt Disney said “If you can dream it, you can do it.” Nevertheless, we have not to neglect the importance and the consequences such changes can have. What is a dream will become a reality and we have to make sure that we can assume this new reality. I would like here to share some ideas about some aspects you have to think about, if you dream to change of life. Indentify clearly why you want to change of career, of job. Is it because you do not like what you are doing, or because there is another problem not related to your actual position. I remember a single-handed sailor, who was telling that he received often letter fro people who were fed up about life and who want to come with him on board to sail with him around the world. The sailor do never accept to take these people with him, he said, because they have to solve first their problems before to be on board. By not solving their problems, they will come on board with their problems and in this case, it could be a danger. Make sure that the choice you will do is really the one you will be passionate by. If you decide to move to something you are passionate by, it is because you are already doing this activity as a hobby, or you are bringing a lot of interest to that activity, and this is motivating you. This kind of decision is something you decide because you discovered something new that brings motivation. It is difficult to say that you will be motivated by something if you never did it. In this case, your dream could be simply an illusion. Be aware that you will have to deal with new constraints, and you will have to be able to face to them. You can prepare this future activity and build scenarios, but if you are paying attention, you see that very often, things does not happen as foreseen. I remember friends of my parents who decide to leave Belgium and to buy a farm in south of France. For these two scientists, it was a total change of life, with new positive things but also new constraints to deal with. There is a huge difference to live permanently in another country and to go in this country for your holidays. Be sure that your choice is matching with your values of life or new values you decided to follow. To switch to another activity does not mean that you will only gain advantages. As mentioned before, you will have to face new constraints, and one of these constraints is money. I read in an economical magazine some testimonials about managers who changed of life. Most of them were saying that there were earning less money than before, but they were much more happy with what there were doing now. Such choices make that you will have to move from a passive consumer position to a creative actor. Make sure that you have enough competences to do what you are dreaming of. This is another essential condition to switch successfully to another activity. To start a new challenge makes that you will be a junior in that new domain of activity, and in order to be at the same level of your competitors, you will have to provide intensive efforts and hard work. This is a period where you will have to be strong, and the only things that can support you during these times are your capacities and your motivation. Be prepared to such change and have always an alternative plan. Such change can have an impact on your revenues and your comfort. To move to another enterprise is always a risk, but you can prepare such situation. Determine how much risk you can take and you are able to face, and have always an alternative plan if you do not succeed. Make a change of career is not a decision you take suddenly. You are lead to make such choice in function of the circumstances of your life. But as a sailor, when you decide to change of road, you have to know first where you want to go, and to be aware about the constraints linked to this new choice, this new road. The new choice you will do will not be necessarily more easy that your present situation, it will be different and more matching your values and expectations.